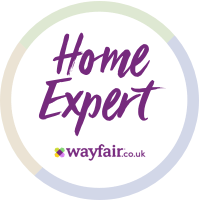 We were recently invited to have tea with the Easter Bunny at our local Wyevale Garden Centre and booked this for Good Friday to kick off the school holidays… and also because Mr J is working all of Easter weekend. Not that we celebrate Easter in any way, but whole weekends of solo parenting can be hard/boring/require gin/soul destroying (delete as applicable). Having only been to the garden centre last month for Poppy’s second birthday party, I knew we’d be in for a nice afternoon of family fun. We arrived at our local Wyevale, Northampton, and the majority of the cafe had been closed off and decorated especially for the Easter tea. The kids were greeted by Alice in Wonderland and the Mad Hatter and seated at our table where the kids got stuck into colouring. Once everyone had arrived we were brought our pre-ordered food, sausages, chips and beans for the girls and afternoon tea for us. There were free refills of tea and coffee available as well as squash or water for the children too. The food was delicious and I had to bring some cake home as there was too much for us to manage. After eating, Alice got everyone lined up and singing a song before taking the children round the garden centre on an Easter egg hunt which everyone loved. Once all the eggs had been found the Easter Bunny put in a special appearance. Ella even at almost ten couldn’t resist going up for a hug and a high five, while Poppy refused to go near him. They were both given a cuddly toy. Poppy a very cute pig and Ella chose a bunny. Finally each child was given an egg shaped biscuit to decorate and take home. The whole experience lasted just about an hour and a half and is £10.95 which I thought was really good value. Breakfast or Afternoon Tea with the Easter Bunny runs at selected Wyevale Garden Centres until 15th April. We had a lovely time and would definitely return for other events. Disclaimer: We were invited along to the event in exchange for an honest and impartial review. All opinions are my own.The food was delicious and I had to bring some cake home as there was too much for us to manage. And it was gluten free! Ah, what a lovely idea. It looks like you all had a fab time! 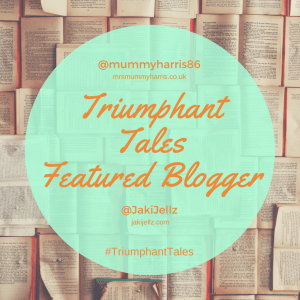 Thanks for joining in with #TriumphantTales, do come back Tuesday! How lovely. And I agree – great value for money!